We were delighted to host a special awards ceremony to commemorate our hard-working staff and volunteers during our Annual Assembly at The Queens Hall Methodist Church. The staff recognition awards, which were voted for over a number of months by all employees and volunteers, saw 5 worthy winners who were rewarded for their work and commitment to The Brick. The ceremony was attended by The Brick’s staff, volunteers and supporters including Wigan Council’s Chief Executive, Donna Hall. Chief Operating Officer at The Brick, Louise Green, said: “We couldn’t do what we do at The Brick without the ongoing commitment of our staff and the support and generosity of our volunteers. We now have over 120 volunteers who give up their spare time to support the people in our community, who need it the most. ‘Team Player of the Year’, award winner, James Leach-Holt said: ““As honoured as I am to receive this reward, I also feel very cheeky in accepting it! 6 volunteers at The Brick were rewarded for their long service, and commitment to the charity. 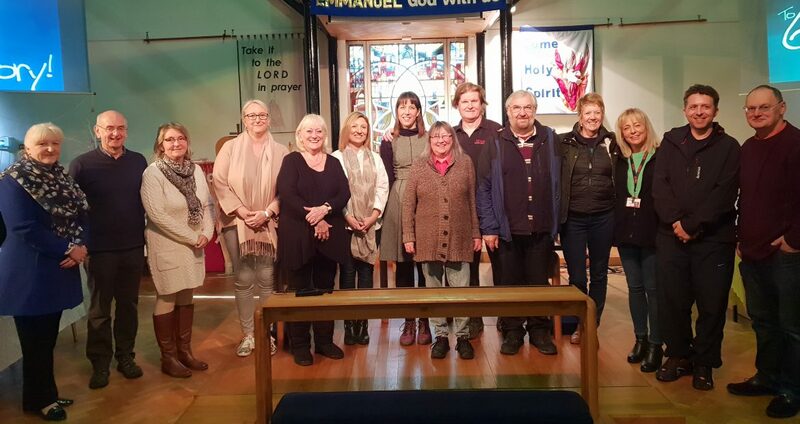 Of the work that the volunteers do for the charity, Fiona Robinson, The Brick’s Volunteer Co-ordinator said: “I am really humbled by the selfless dedication of our volunteer team who relentlessly support all the services The Brick offers our local community. They are an integral part of our workforce who go above and beyond day after day.